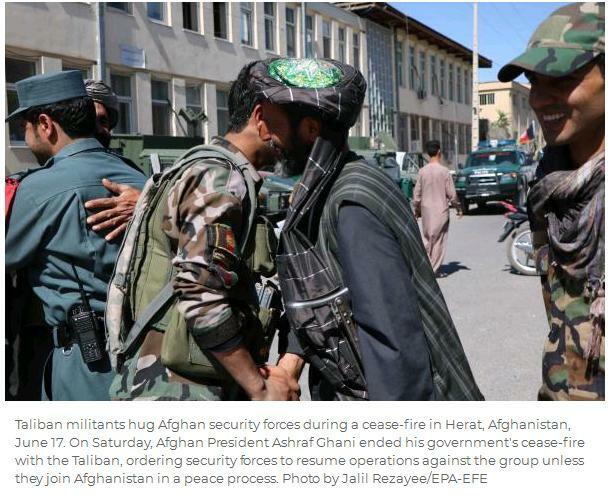 Afghan President Ashraf Ghani on Saturday ended his government's cease-fire with the Taliban, ordering security forces to resume operations. 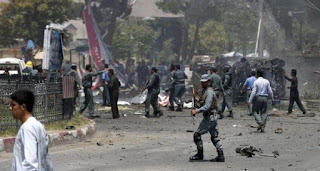 Afghan President Ashraf Ghani on Friday accused neighboring Pakistan of failing to move against the Taliban and pledged a new security plan for Kabul after hundreds of people were killed and wounded in two deadly attacks on the capital last month. Moscow calls on Kabul and the global community to investigate into the death of civilians in northern Afghanistan in the US airstrikes, the Russian Foreign Ministry stated on its web site on Friday. 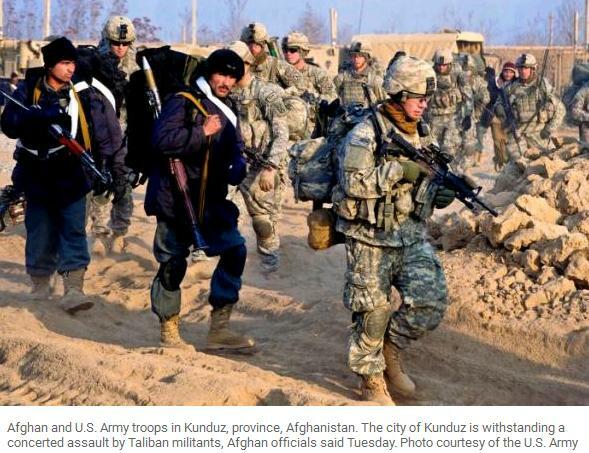 A US air strike against militants in the Afghan capital Kabul caused civilian casualties after a missile malfunctioned, officials said. Two U.S. service members died Wednesday when a suicide bomber attacked a NATO convoy near Kandahar, Afghanistan, military officials said. 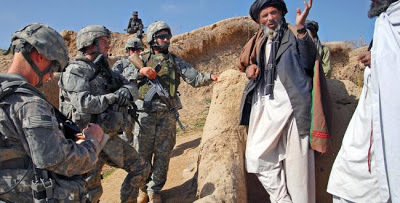 An Afghan commando has killed two American soldiers and wounded two others during a joint operation in eastern Nangarhar province, according to a government official. Afghan President Ashraf Ghani has declared a national day of mourning after scores of soldiers were killed by Taliban fighters disguised as fellow soldiers, in the deadliest attack of its kind on an Afghan military base. 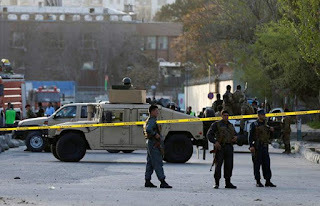 Taliban "fighters" have probably killed and wounded more than 50 Afghans in an ongoing attack on a mosque and dining facility inside an Afghan military base, a U.S. military spokesman said, describing it as a "significant" strike. The U.S. Air Force dropped its largest non-nuclear bomb for the first time in combat on Thursday, targeting an underground Islamic State complex in a desolate portion of eastern Afghanistan, military officials said. 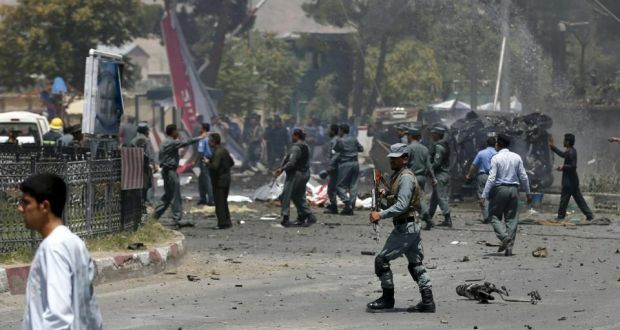 Separate bomb attacks in Afghanistan have left at least 45 people dead and 105 injured. A Taliban suicide bomber dressed as a labourer blew himself up at the NATO air base at Bagram north of the Afghan capital Kabul today, killing four Americans and wounding at least 17 people in one of the bloodiest attacks against US forces since US President Barack Obama took office. 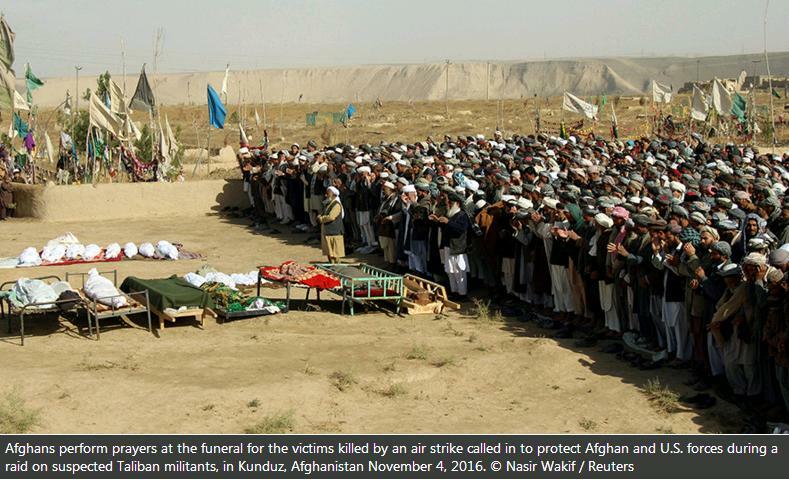 At least 30 civilians were killed and 25 others injured late Wednesday during NATO-Afghan Army airstrikes and land combat operations in Kunduz province, north Afghanistan, official sources told EFE. Five U.S. special operations troops in Afghanistan have been wounded in combat with Islamic State fighters, according to the top U.S. commander in the country. 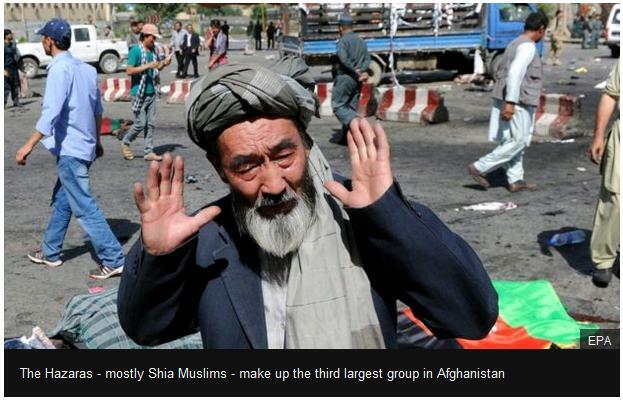 According to specified data, at least 80 people were killed and more than 230 were injured varying degrees of severity in the result of the triple attack in Kabul to protest the Shiite minority. A US air strike that destroyed a medical charity's clinic in northern Afghanistan, killing 42 people, was not a war crime, the Pentagon has said. A suicide bomber rammed an explosives-laden motorbike into a joint NATO-Afghan foot patrol near the Bagram air base in Afghanistan Monday killing six US soldiers. 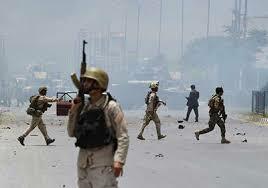 The attack was claimed by the Taliban. 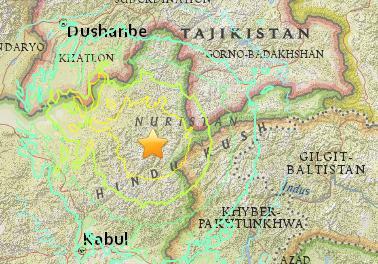 A major earthquake that struck the remote Afghan northeast this morning has killed more than 200 people in Afghanistan and nearby northern Pakistan, while sending shock waves as far as New Delhi in India, according to officials. 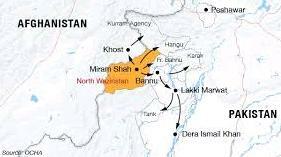 An air strike in northern Afghanistan has killed at least 19 people, including three children, at a hospital run by Doctors Without Borders (MSF), the charity group said Saturday. Fifteen more fatalities were confirmed Saturday from a barrage of bombings in Kabul, taking the toll to 51 in the deadliest day in the Afghan capital since the NATO combat mission ended in December.